Although both part of the same SEM family, PPC and SEO have had a long-standing sibling rivalry. Both channels have become specialised fields of expertise over the years and have grown up to hold their own. There are plenty of sites around the world that live off paid search traffic while others live solely on organic search traction Paid and organic search marketers have adopted this rivalry and live and die by the channel discipline they've chosen and would sooner sabotage the other than build alliances. While competition is great and always a great platform for improved performance and a bit of banter around the office, it can also lay the groundwork for selfish and siloed decision making. There are so many great ways to integrate the two channels, I will be focusing specifically on one of the most important integration methodologies, how to get PPC to improve your SEO. Which keywords are driving the most clicks? Which pages and keywords have a better quality score? What are the bounce rates, exit rates, and time on page? From this data, make sure the top performing keywords are present on your pages in strategic areas, like page title, meta description, H tags and contextually. Using paid search to drive users to deeper contextual pages in your site that are relevant to the keywords they search for helps Google associate content with the user intent. As users searches become more personalised the results become bias to reflect the user's preference and thus give your organic lists a personalised ranking boost which will work cross-device as long as users are logged into their Gmail account. Protip! Remarketing to these users to bring them back to pages multiple times can further improve the likelihood of personalised search result bias. Once you've produced a quality piece of content, preferably a "10 X content piece" that you're sure is far superior to anything available to users its time to test the value for the user. Creating PPC campaigns to drive large audiences to your content can result in large social network referral traffic, content syndication and backlinking for quality referral traffic which will all eventually give your content a major ranking boost and have you sitting pretty at the top of your niche. Are you already at the top of SERP for a certain keyword? Great now once you've revealed in your genius you can use PPC to take it even further by creating a PPC campaign on this keyword. Having the paid ad above the organic listing pushes your competitions listings down below the fold and less likely users will click on them and help win more of the impression share and improve click-through rate. This technique works well when competitor alternatives are very similar and you're holding onto your number one spot by a thin thread. I wouldn't recommend this as a long-term strategy but something to hold you over while you're improving your content and user experience for a superior offering to best your competition. With this information, you can refine a content strategy. Prioritise content creation to target these searches or refine and repurpose current content to better suit these searches. Attract new visitors and leverage new avenues for organic. A good SEO targets keywords, a great SEO creates his own keywords, yes this is my very own quote and anyone who wants to claim it I'll be extremely disappointed. I've used this strategy for quite some time and returned great results. This technique works well in conjunction running a campaign, creating a brand ambassador or pseudo name for your site. To illustrate I'll be using the campaign example. So nichemarket are planning an SEO workshop in February 2017 and calling it SEObootcamp, using PPC we can drive traffic for relevant generic terms. Due to the long lead time and the fact that we know only 2% of users will sign up on the first visit. We would make sure the landing page branding and content focuses on the SEObootcamp keyword. So later, when users search with the intention of returning to this page we can rank for nichemarket bootcamp, nichemarket SEObootcamp, SEObootcamp, bootcamp nichemarket, SEO bootcamp nichemarket and we've successfully created 5 new keywords that we dominate. Now that you know how to get these two SEM tools to read off the same script we hope you will find great ways to put it to good use and improve your site traffic. 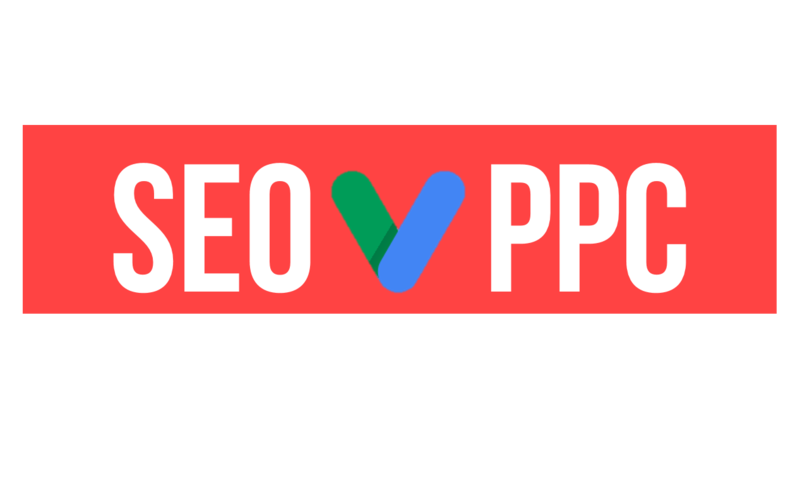 If you've come up with any unique ways of harmonising PPC and SEO, let us know in the comments section below, we'd love to hear your ideas.